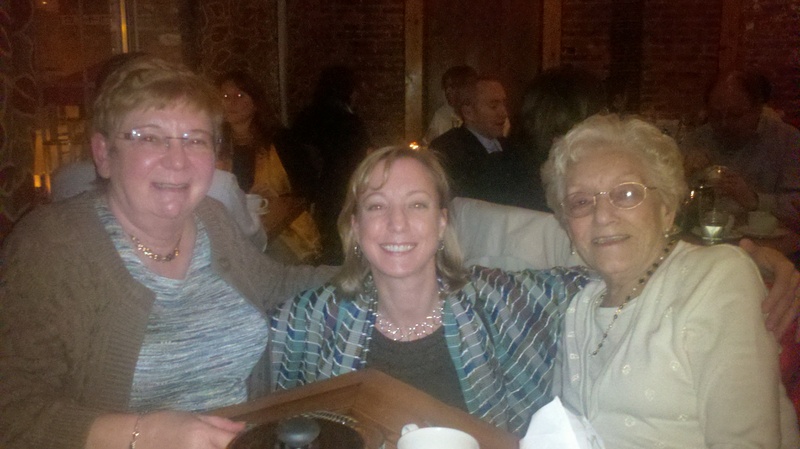 Three generations - me and mom and grandma. An amazing friend of mine started an organization called Epic Change. It’s one of my very favorite nonprofits, because they partner with folks in communities to help them achieve needs identified by the actual community. This is different from the approach taken by some nonprofits, which is to go into communities with their own idea of how to “fix” things. Community voice is spectacularly important, yet so often overlooked and undervalued when it comes to “helping others”. It’s one of the first things I noticed and admired about Epic Change, that they truly listen to those on the ground, the ones who live in the communities seeking change. I could go on and on about their successes – Tweetsgiving, building a school and tech lab in Tanzania, the Twitter Kids – but I’d like to focus on an initiative happening right now in honor of Mother’s Day – To Mama With Love. To Mama With Love is a collaborative online art project that honors moms across the globe and raises funds to invest in remarkable women who are transforming our world. The donation you make goes to support Epic Change, and specifically supports the efforts of four extraordinary women: Mama Lucy Kamptoni (Tanzania), Suraya Pakzad (Afghanistan), Maggie Doyne (Nepal), and Renu Shah Bagaria (Nepal). You can create a heartspace to honor a special mom in your life. And, trust me, the impact will go far beyond wilted flowers or a soon to be empty box of chocolates. (Of course, just to be on the safe side, I created heartspaces AND got some chocolates.) You can include photos, quotes, a special note and even video. The goal is to raise at least $65,000 USD to invest in Mama Lucy’s secondary school in Tanzania, Renu & Maggie’s schools in Kathmandu & Surkhet, Nepal, and Suraya’s women’s shelter in Afghanistan. Over 95% of the funds collected through donations for heartspaces will be invested directly into the efforts of these remarkable women. I made one heartspace for mom and another for grandma. Would you consider honoring a special mom in your life this Mother’s Day by taking part in To Mama With Love? Would you share the link (http://www.tomamawithlove.org/) and help spread the word? I would certainly appreciate it, as would the incredible folks at Epic Change and the inspiring women doing what they can to make the light shine a little brighter in their corner of the world.